The NC Heritage PAC offers support to candidates for public office in North Carolina who support and defend the preservation of the heritage, traditions, monuments, cemeteries, flags, emblems, and other legacies of North Carolina, their meaning, history, presentation and standing. The NC Heritage PAC examines the positions of candidates on heritage-related issues. To accomplish this it uses submitted questionnaires and interviews and publishes the results and makes them available to both news media and voters concerned about heritage issues, employing score cards evaluating the graded positions of candidates and elected officials. 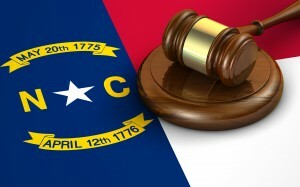 The NC Heritage PAC also produces and publishes a periodic “Failing Our Heritage” list of those elected officials who have failed to defend the state’s heritage, traditions, monuments, cemeteries, flags, emblems and other historical legacies, or who have otherwise corrupted or perverted their meaning, history, presentation and standing in our state. The NC Heritage PAC provides financial aid to those efforts and candidates who further the purposes of the PAC and the defense of our great heritage. The NC Heritage PAC engages in educational activities, through outreach programs in North Carolina schools, seminars, conferences and occasional publications, available to the media, heritage supporters and to the general public. The NC Heritage PAC welcomes and solicits both financial and public support by the citizens of North Carolina to further its essential efforts and initiatives. © 2016 North Carolina Heritage Political Action Committee. Paid For By The NC Heritage PAC.